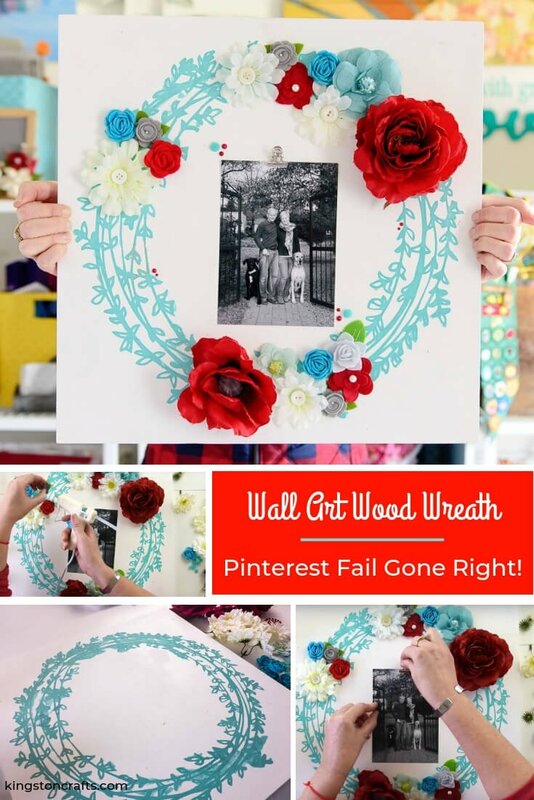 Wall Art Wood Wreath: Pinterest Fail Gone Right! Ever have one of those projects that just doesn’t turn out right? I took a total failure (too much paint, too much wine, not enough following directions) and turned it in to a fun home decor piece perfect for our mantel! Back in January when I was in Phoenix for Creativation 2017 I was lucky enough to spend the evening at Pinspiration (you MUST go there if you ever find yourself in the area!) with the gang from DecoArt. 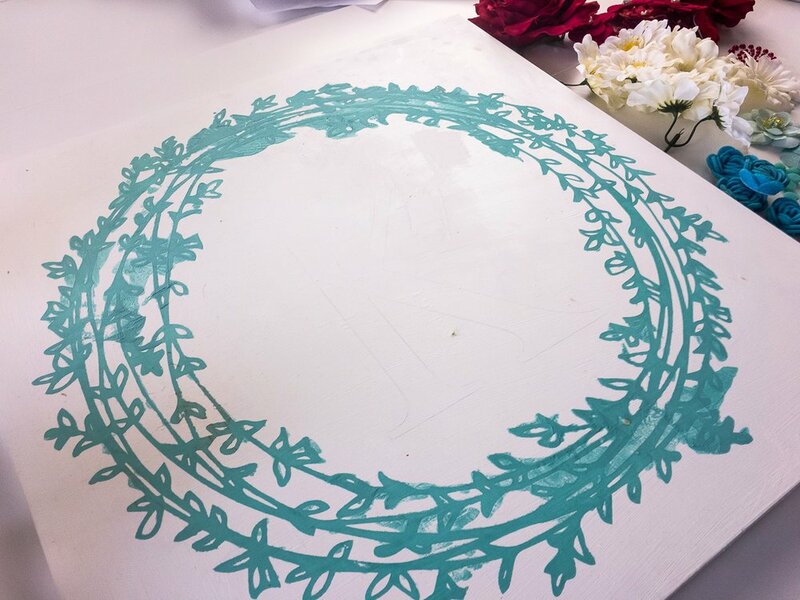 Our plan was to create gorgeous projects to take home, but then we started chatting, and drinking, and snacking, and visiting with the other patrons, and not following directions. And then this happened. See the GIANT paint smudges? See the K outlined in pencil in the middle that was supposed to be string art but I didn’t even get that far? Yup. 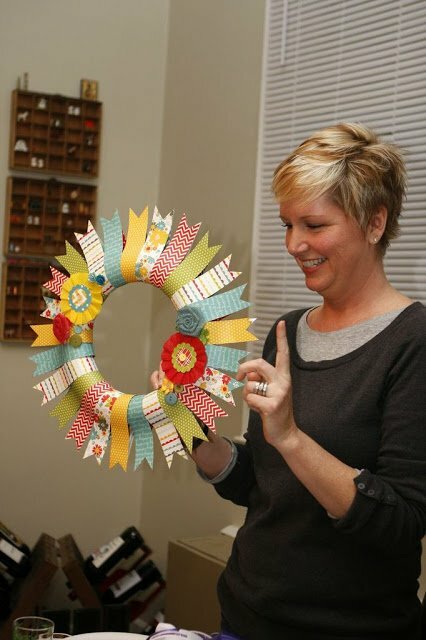 I craft for a living. Can’t you tell? I PROMISED them that I would fix it. I told them I could make it right. And you know what? 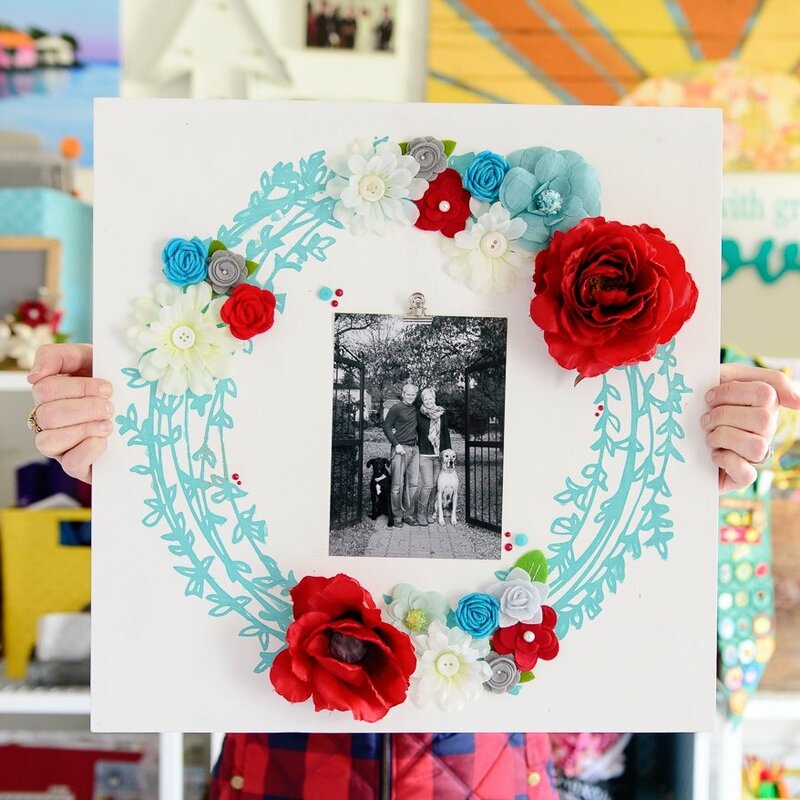 With a few flowers and my glue gun I did just that! 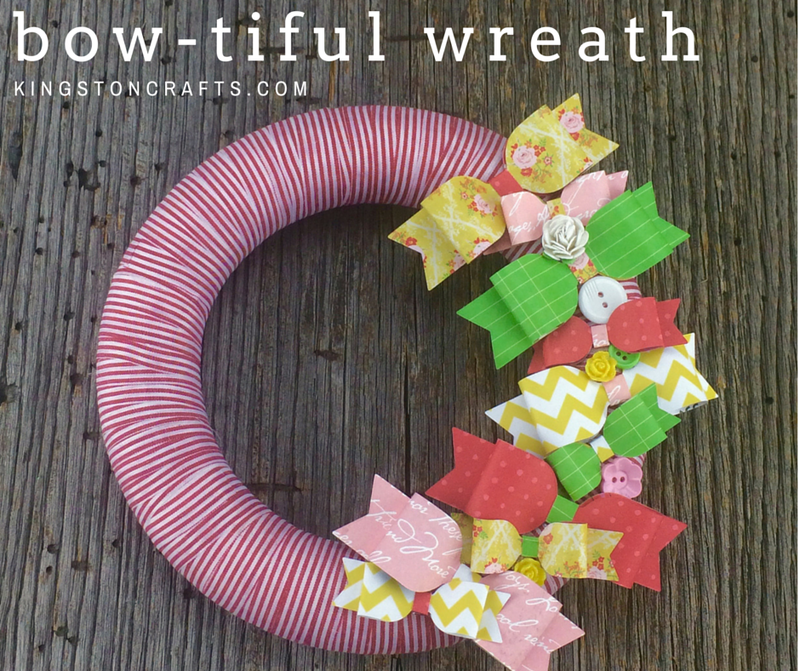 Here are a few more wreath projects to tickle your fancy!